i love a cleverly named band. 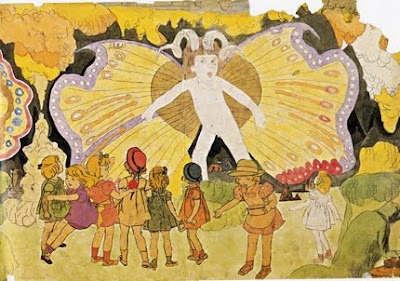 and i've loved henry darger's exceptionally deranged lifelong work, *in the realms of the unreal ever since we stumbled upon a showing of his work at PS1 some time in the 90s. the epic piece documents an otherworldly battle between evil adults and an army of children led by a band of cherubic and heroic innocents known as the Vivian Girls. 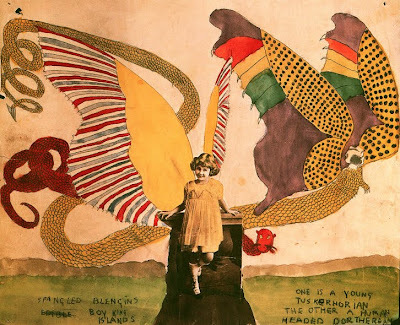 i've got a soft spot in my heart for outsider art, and darger's genius qualifies as an extreme case. so when i read about the NY band vivian girls my interest was peaked. dreamy vocals, a heartfelt lo-fi sound, and cute girls worthy of their band's namesakes make vivian girls worth a listen. especially on a gray and snowy day like today, when i'd love nothing more than to wrap up in a darger-inspired quilt and knit until my hands bleed. will somebody make me one already? please? it would make me so happy and i would love you forever.